A photographic voyage documenting the impact of modern industry and consumerism on our plant, A Common Destiny presents a hauntingly beautiful vision of a world perched on the edge of an abyss. Juxtaposing images of pristine wilderness with those of mines, abandoned nuclear reactors, large industrial farms, and spaces that exemplify artificiality and our increasing distance from nature, Cedric Delsaux creates a powerful meditation on mankind's ruthless hunger for mass production and energy. Each striking, thought-provoking photograph is a work of art that allows us at once to marvel at our own industriousness and be shocked by its ramifications; we are asphyxiating the planet with our own inventions. 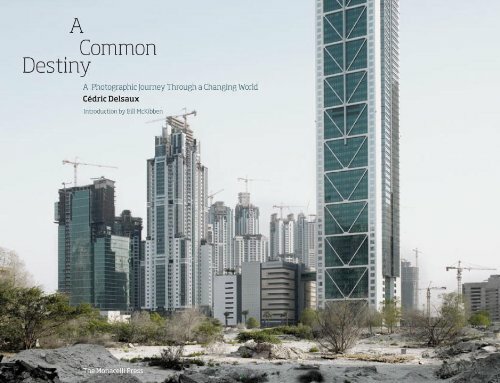 The volume takes the reader on a journey from the least populous places on Earth to the most densely inhabited, guided by essays from Wangari Maathai and James Lovelock that urge us to reflect on our own habits and resolve to take a more conscientious, active role in preserving natural resources.